By the early 1930s, Luigi Bresaola was already designing the first espresso machines for cafes and restaurants in Switzerland. He was an ingenious inventor and among the pioneers of his time. He never rested until no further improvements could be made to his machines. 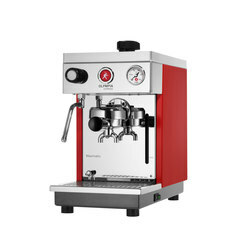 In the 1960s Olympia Express also offered espresso machines for home use. They were an enormous success. 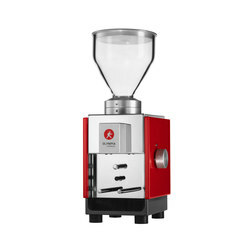 Combined with their compact size, it was their quality and reliability that caused a steadily increasing demand for the machines – from London to San Francisco, from Chile to Singapore. After the company experienced a rocky period during the 1980s and 1990s, Olympia Express was founded in a different form in 2007 and now produces in the mountain canton Glarus. 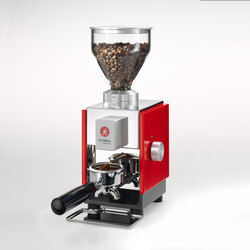 The company stuck to its original philosophy and concentrates on producing premium espresso machines and grinders. 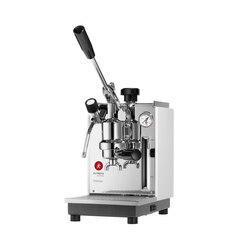 Today the stylish lever machine Cremina is available to espresso connoisseurs. 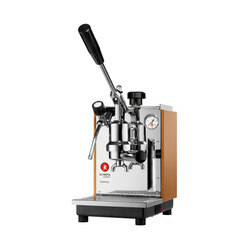 The New York Times considered its predecessor, the Cremina 67, “the best Espresso machine in the World”. 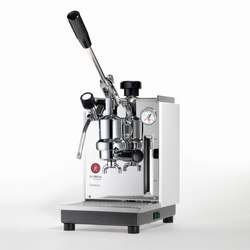 The Maximatic enables those who love semiautomatic machines to obtain delicious espresso in just a few steps. 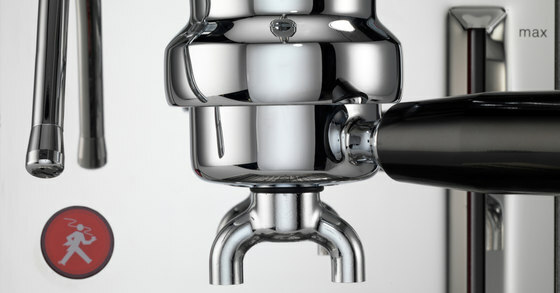 And the Moca answers all demands for a perfectly designed espresso grinder. For more than 85 years, perfect material and workmanship have taken top priority at Olympia Express. Each and every tiny detail is constantly rethought and, if necessary, optimized. At the beginning of the 1990s, for example, Olympia Express was the first espresso machine manufacturer to exclusively use chrome steel tanks. Although more expensive, they are more durable and do not affect the flavour in any way. And as there are no chrome steel parts available on the market which can meet the high standards of the engineers, Olympia Express simply designs its own, right in its very own workshop. 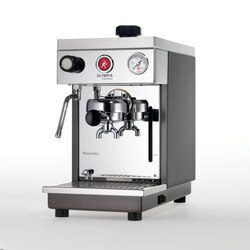 With skilled craftsmanship and accuracy the whole team strives to produce the best espresso machines of all time. The same goes for the design: «form follows function». This classical design principle makes the Olympia Express machines the perfect example of Swiss design. The concept of sustainability is an increasingly important issue in our society and has been the guiding principle for Olympia Express for decades. Our machines are durable, repairable and therefore environmentally friendly. This is why 40-year-old Olympias still work perfectly and are highly sought-after by enthusiasts. Quite honestly, more machines could be produced if we didn’t strive for such quality and precision. However, in a way, drinking espresso is an expression of a certain culture and Olympia Express has fostered this culture for generations. 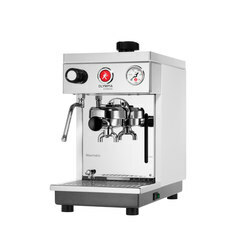 The company’s passion for Italian espresso merges with the old tradition of Swiss craftsmanship, resulting in a product which never ceases to delight the owner! For eighty-five years we have followed only one basic principle: build the best espresso machines with meticulous craftsmanship and a love for detail. That is not the only reason for the high quality of our products – there is also the personal relationship between the product and the mechanic, who works passionately on every single detail. 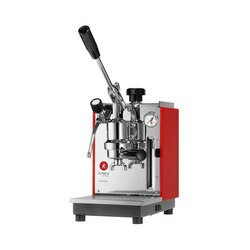 In addition to precise and premium workmanship, in each Olympia Express machine there is always a sense of devotion and passion that just make the difference. This devoted approach to manufacturing limits the production to just a few hundred machines per year. 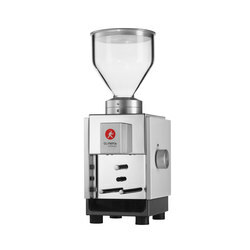 Thus, in times of short-living, disposable products, the manufacturer has managed to keep its renowned position as a producer of premium quality machines.